A tragedy at infancy plunged Mutabazi into a life as an orphan filled with uncertainty and fear. "I learned that my mother died two months after I was born and shortly after my father was poisoned by a neighbor," he recounts. This unimaginable crime changed the course of Mutabazi's life and that of his three elder siblings. In a deep, somber tone, Mutabazi narrated his early experiences as an orphan in Rwanda. "We moved from home to home. We first landed in an orphanage and then went in different directions. Since I was the youngest, I ended up at my uncle's house." Mutabazi was separated from his siblings and had minimal contact with them, including his elder sister who recently died. Even when the living conditions at his uncle's home became increasingly unfavorable, he had no one to turn to for help. "My uncle was struggling to support his large family so I ended up working as a houseboy and delayed joining school. I became weak and malnourished because of the laborious work and inadequate food. I also withdrew from people," says Mutabazi. 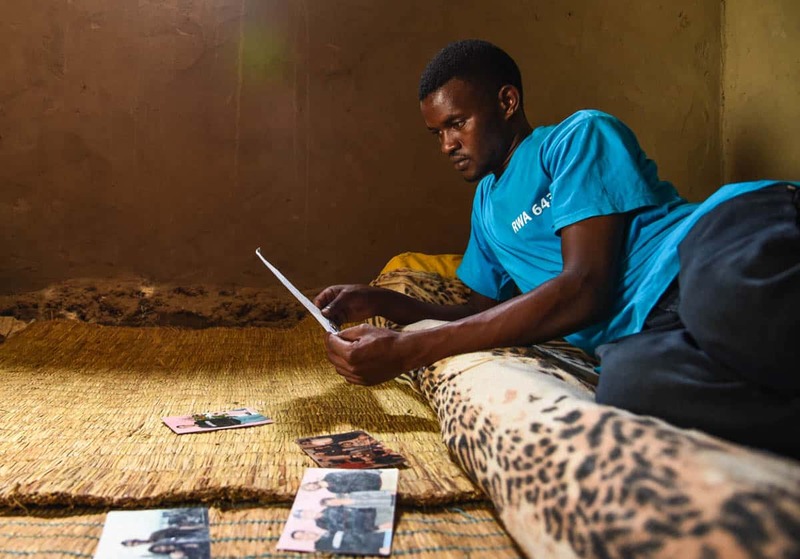 A neighbor noticed his waning health and offered that he stay with him until his health improved, but eventually Mutabazi went to stay with his grandparents. He expressed mixed emotions about living with them. "I hoped to have a better start at my grandparents, but joining school conflicted with my grandfather's wish for me to be a herds boy. I moved from place to place in search of pasture and water for the animals, missing school and playing with my friends." Mutabazi's sporadic school attendance affected his performance. His confidence was dented by repetition of school grades and, more so, studying with children who were younger and smaller than him. For a long time, he carried a heavy weight of injustice on his fragile shoulders and progressively grew more secluded and distressed. "He was a small, quiet and withdrawn boy who came from a very poor home," recalls Nyakaisiki Grace, a social worker at the child development center at Anglican Church, Kabarore (ACK). She also vividly remembers Mutabazi to be a brilliant boy who hardly expressed himself. "When his grandmother brought him to the center, we learned a lot about his difficult childhood. As an orphaned child, Mutabazi faced neglect and didn't receive all the love and care he needed," she says. So the center ensured Mutabazi's enrollment into the church-based school where he received school supplies, food, and clothes. Beyond that, Nyakaisiki visited him at home, spoke with his guardians, encouraged him to study and often prayed with him. 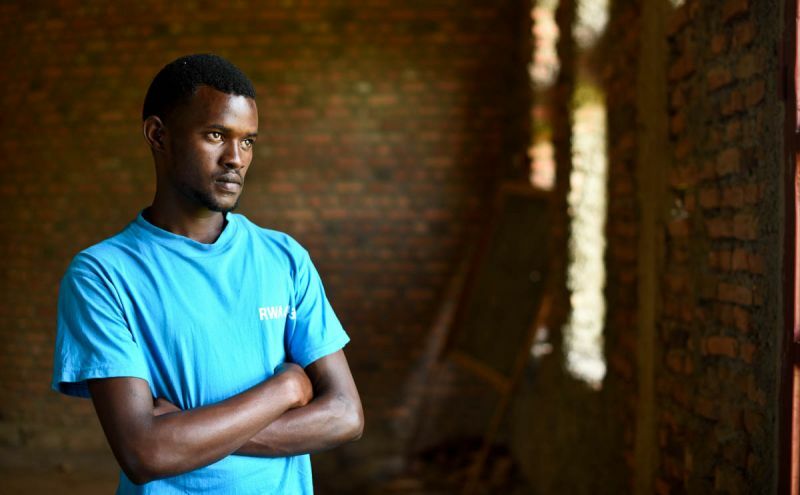 Still, Mutabazi's rekindled desire for education intensified the tension between him and his grandfather, who threatened to kick him out. Although Mutabazi had a supporter in his grandmother, her voice was often muted by an obstinate grandfather. But at the center, he found freedom to express himself and a listening ear from his teachers and his Compassion sponsor, David, who wrote to reassure the young man. "I always shared my life with my sponsor through letters, and I always looked forward to hearing from him. He inquired about my progress, and prayed for my family," recalls Mutabazi, later pulling out a stash of cherished letters and photos from David. 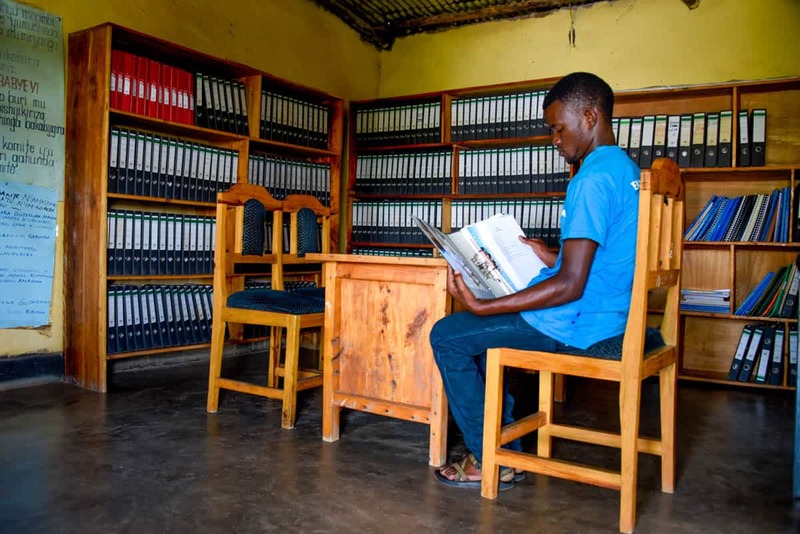 The center community provided Mutabazi with an environment where he could thrive: He found a mentor and friend in his sponsor, counselors in his teachers and a spiritual father in Pastor Daniel Mutangana of ACK. Mutabazi found a family. But the situation back home reminded him that his dreams didn't count for much. So when Mutabazi completed primary school and expressed his desire to further his education, his grandfather made good on his long-standing threat. "My grandfather wasn't amused. As I ate, he grabbed the plate of food from my hands and kicked me out of the house," Mutabazi recalls. As tears welled up in his eyes, his future became more blurry and his hopes slipped between his trembling fingers. Mutabazi sought refuge at a friend's house but all the while pondered over difficult, unanswered questions. "Why did my parents leave me when I was so little? And what had I done to deserve this?" he asked. As tears welled up in his eyes, his future became more blurry and his hopes slipped between his trembling fingers. Mutabazi said a timely prayer, which he says changed the course of his life. "Although I was disappointed and angry, I thanked God for all the people He'd brought me thus far and I dedicated my life to God and asked Him to be my guide." 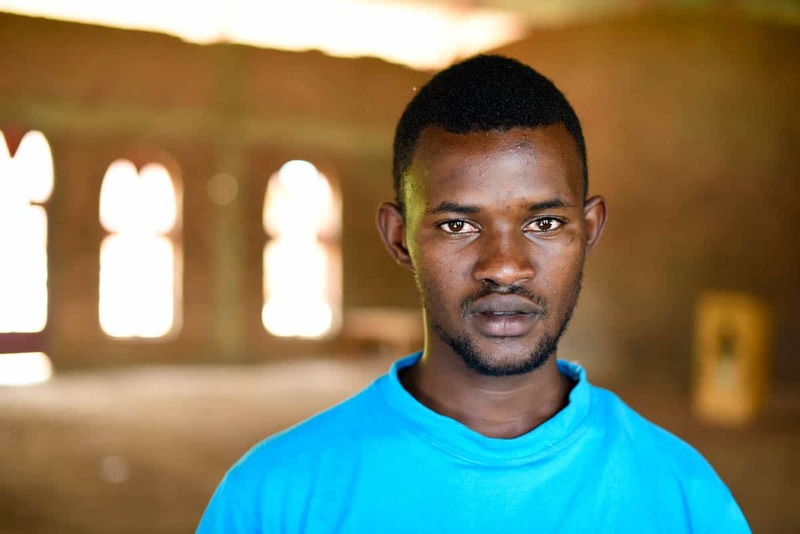 Mutabazi was 16 years old when he made a firm commitment to follow Jesus, and it surprised him how much he was able to reconcile the pain and hurt from the past. 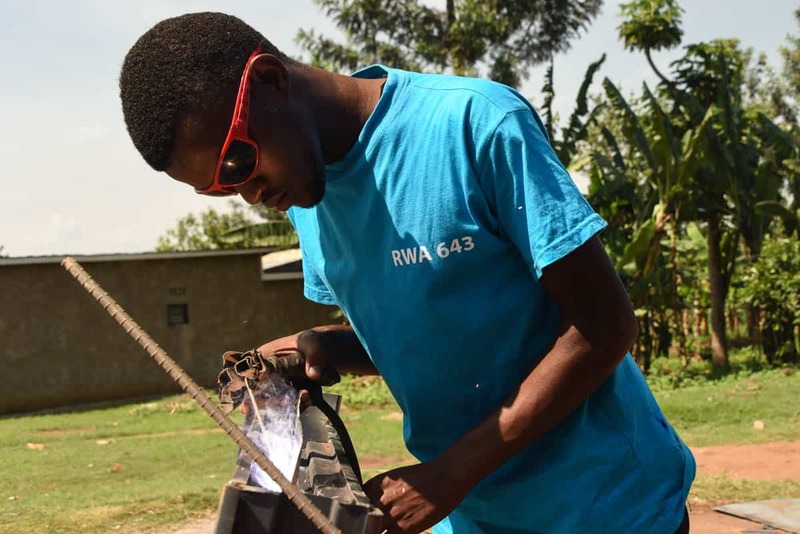 Fascinatingly for Mutabazi, the center had swung into action and assisted him to a college where he would stay and complete his vocational course in automobile mechanics. This help gave him a smoother transition out of home. Another pleasant surprise came in the form of a gift from his sponsor, which enabled him to purchase a parcel of land near the center. In 2015, as he turned 18, Mutabazi was among 21 students who benefited from a house construction intervention for highly vulnerable children. "It was great to have my own place, and I thank my sponsor and the center for showing love in this way. Even though I've never met my sponsor, I'm very thankful and indebted to him. I feel like my own man now, and no one can manipulate me anymore," states Mutabazi. Nyakaisiki sees this acquisition as a great leap for Mutabazi. "In our context, it's honorable for a man to have a piece of land and a house. Mutabazi has great respect among his peers and he has a great chance of seeing his dreams come to fruition," she says. 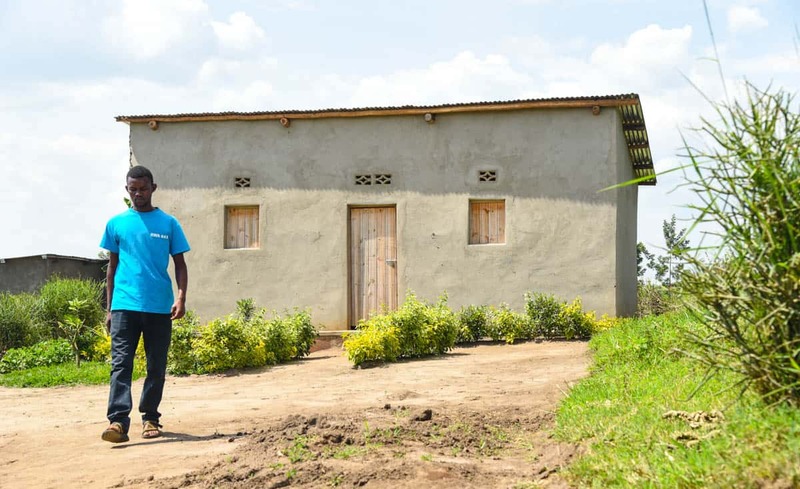 Mutabazi rests on a mattress laid on the floor of his newly constructed, four-room mud and brick house and wonders how different his life could've turned out. "I could've been an orphaned street child, a drug addict, maybe even a robber. But I'm closer to God more than ever. The ACK center is my family, and I'm thankful for all their support. "It's also a wonderful feeling to have a place I can call home." Mutabazi desired what we all want: freedom, a place to call home and the stability of a loving family. While his parents never had the opportunity to provide these things for him, his local church and his sponsor were able to step in and make sure he was still known, loved and protected and provide him with opportunities to achieve his desires. You can give another child who is an orphan these same opportunities through sponsorship. 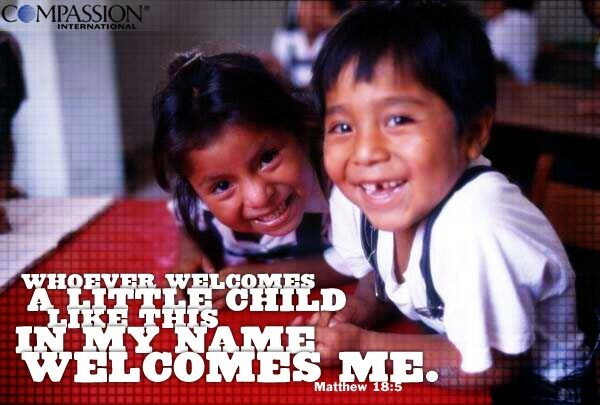 "Compassion for the Fatherless" by Compassion International is licensed under a Creative Commons License. Heartlight encourages you to share this material with others in church bulletins, personal emails, and other non-commercial uses. Please see our Usage Guidelines for more information. What does a little girl do when a stranger from far away shows up at school?